Navigating around puddles that form on streets and in parking lots after a rainstorm can be a nuisance. But this water, technically known as stormwater, has the potential to become an important water supply for many Californian communities. For example, one study showed enough potential supply from stormwater in major urban and suburban centers in California to annually provide millions of gallons for the recharge of local aquifers. In addition to providing valuable water supply, effective stormwater management can help reduce local flooding and prevent trash and other pollution from getting into streams or the ocean. What’s more, many stormwater capture projects have further co-benefits, such as providing habitat, reducing urban temperatures, reducing energy use, creating community recreation spaces, and increasing property values. With all of these advantages, many Californian communities are beginning to expand stormwater management programs to not only address flooding and water quality, but to recharge aquifers, irrigate landscapes, and provide an additional, climate-resilient water supply. In a recent Pacific Institute report, we highlight some innovative and practical strategies that communities throughout California and the country are using to improve local stormwater policy, overcome funding challenges, and harness this viable local water supply. In some areas, communities are updating municipal codes and guidelines that inadvertently and unnecessarily prohibit stormwater capture. 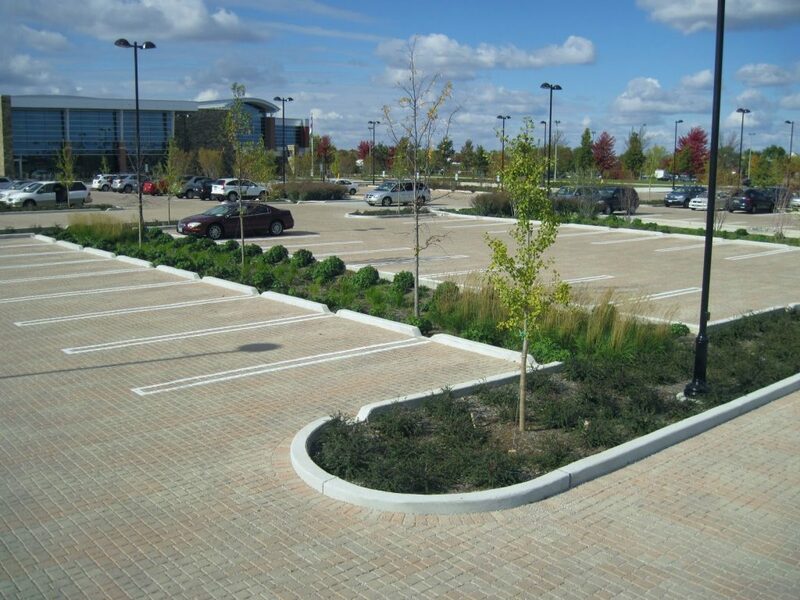 The City of Gonzales in California, for example, updated the city’s design specifications for curbs and planters to allow runoff from stormwater to flow from places like parking lots and streets to be directed into vegetated areas where it can soak into the ground. This relatively easy update to the municipal code allowed for urban designers to incorporate stormwater capture into new projects and retrofits. In addition, cities throughout California are adopting policies to encourage or even require stormwater capture in urban areas. In San Francisco, an ordinance makes capture, treatment, and reuse of stormwater — and other non-potable sources such as graywater — mandatory in new construction projects larger than 250,000 square feet. And in Santa Monica, a new policy to source all the city’s municipal water supplies locally by 2022 has been a driver for stormwater projects, such as the Los Amigos Park Stormwater Harvesting and Direct Use Demonstration Project that provides water to the park for the irrigation of sports fields and for restroom toilet flushing. Paying for stormwater management is no trivial challenge, and California has an existing funding gap of between $500 million to $800 million annually. However, the benefits of stormwater management far outweigh the costs, especially when accounting for the many co-benefits, such as improving water quality, providing habitat and open space for communities, and in some cases, providing an additional local water supply. In California, water supply generated through stormwater capture is among the cheapest options for new supplies. And communities are increasingly pursuing stormwater projects that meet a variety of objectives, allowing for innovative approaches to funding these projects. For example, the City/County Association of Governments of San Mateo County received voter-approval for a $10 annual vehicle registration fee to improve both transportation and stormwater management, including projects like permeable pavement to reduce flooding, filter stormwater runoff, and support infiltration. In Fresno, the regional flood control agency created a development fee that supports flood control and stormwater capture and places the cost of additional structures on future growth. By tackling multiple issues simultaneously, these entities were able to fund stormwater capture while addressing flooding and water quality challenges in their regions. Looking outside the state, Dubuque, Iowa partnered with several agencies to reconstruct alleyways with permeable pavement to reduce flooding, reduce pollution from runoff, and beautify neighborhoods. These partnerships helped them obtain low interest loans through the Iowa Clean Water State Revolving Fund. California has a surrogate fund, but to date it has rarely been used by California communities for stormwater programs. While State Revolving Fund dollars and other bond funds can help to pay for capital costs of stormwater projects, communities also need continual funding for operations, maintenance, and other ongoing costs. There are several options for funding these ongoing costs, such as parcel taxes or property-based fees, sewer utilities, and development impact fees. While California state law sets onerous voter approval standards for implementing stormwater fees, a growing number of communities have successfully passed measures to create dedicated stormwater funding sources. For example, in 2016, Culver City passed the Clean Water, Clean Beach parcel tax, which charges an annual tax to property owners to cover the cost of keeping pollution out of local streams and beaches with multi-benefit projects that also recharge local groundwater supplies. In 2017, Palo Alto residents voted to approve an update to their stormwater drainage fee, increasing funds for stormwater management with nature-based solutions that help to clean and infiltrate water rather than directing it to the Bay. Lessons learned from success stories such as these can help provide guidance for other communities seeking to create ongoing, dedicated funding for stormwater management and capture. Stormwater has long been managed to reduce its impact on water pollution and to mitigate flooding challenges, but the time has come to also use it as a source of water supply. 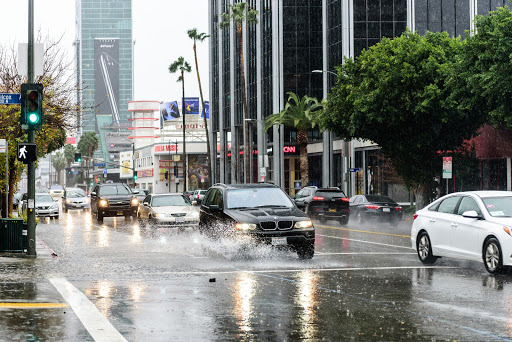 Due to California’s highly variable weather, most rain falls during just a few winter storms. Stormwater capture could help provide relief from both California weather extremes – dry and wet; during wet periods it can help reduce the impacts of flooding and water pollution, and during dry periods it has the potential to augment water supplies. Through our research, we found many examples of communities taking new approaches to tap the potential of this valuable local resource, but we can, and must, do more. As winter nears and the rain begins to fall, communities across the state can collect this valuable resource, turning puddles into a plentiful, local water supply. Want to learn more about what communities are doing in California and beyond to capture stormwater? Check out our report!